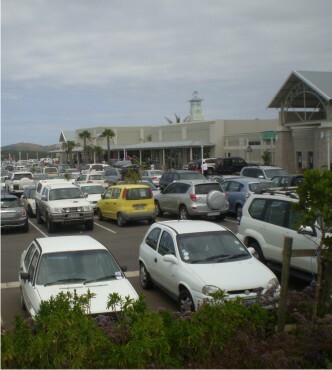 Rosehill Mall is a coastal shopping centre at Port Alfred that packs in every innovation to delight shoppers, from a spectacular beach-style avenue linking the shops to an astounding close-quarters view over the Eastern Cape shoreline nearby. Famous retailers have been carefully chosen to provide the broadest possible shopping experience and maximum convenience for those in and around the charming seaside resort on the Kowie River. Facilities include parking, cinemas, restaurants, & a big, comprehensive sporting store. Natural air and light make the mall a healthy entertainment option for kids. 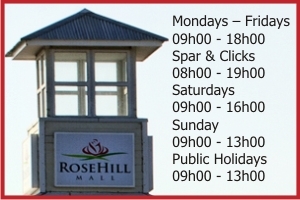 Rosehill Mall is one of the highest rated ‘green’ projects of its kind in SA, and there’s a strong emphasis on conservation and sustainability, with innovative energy-saving measures and attractive natural materials. After dark, the mall becomes a fairytale environment, with hundreds of pinpoint lights in the vaulted roof.